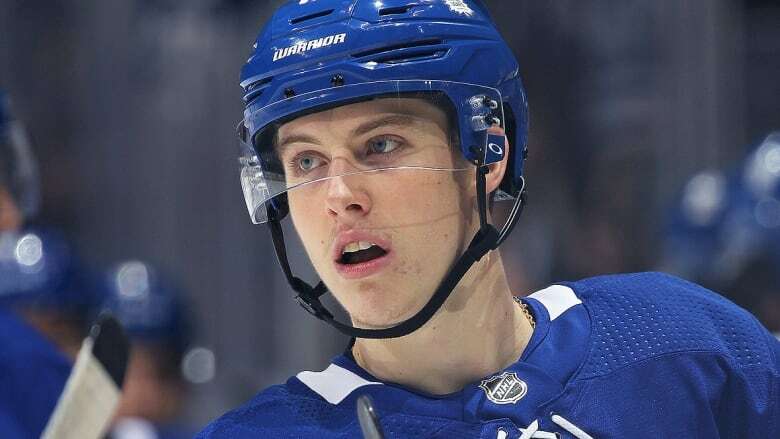 The agent representing Mitch Marner says the slick forward will negotiate a new deal with the Toronto Maple Leafs at season's end. "Neither I nor Mitch wanted any distractions during the playing season," Darren Ferris said Wednesday. Entering the season, Maple Leafs general manager Kyle Dubas had to try to sign Marner, William Nylander and Auston Matthews before they become restricted free agents on July 1. Dubas has now nailed down two of the three, signing Nylander to a six-year, $41.77-million US contract while Matthews reached a five-year, $58.17-million extension on Tuesday. "Honestly, I didn't really see [the comments]," said Marner. "I haven't really looked at my phone today. It's probably for the best I haven't done that. I honestly really haven't seen them." "I didn't see them. Like I said, that's something you're going to have to talk to [Ferris] about. For me, it's something I haven't really been paying attention to. I'm just paying attention to this team in here and wanting to win." "Words are spun around and things sometimes," said Marner. "Me and my family love it here. My agency loves it here. This is a great place to play hockey. We have a great management team and a great team in this locker-room and we all want — including myself — to be a Leaf for a long time and I'm sure that will happen."